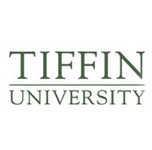 Prior to the formation of Stevens Strategy, John Stevens, as a senior member of another firm, provided the design and facilitation of a 5-phased strategic planning process resulting in a new vision, strategic agenda and operational plan for Tiffin University. When Tiffin University decided to begin a strategic planning initiative, John Stevens assembled a team to introduce the faculty, staff and students to the process. The procedures were timely, well thought out, efficient and attentive to the needs of the campus community. John’s leadership throughout this process was transformational. He worked hard at gaining an understanding of the culture of the University. He demonstrated his expertise in higher education administration through sharing the depth and breadth of his experiences in planning, governance, finance and organizational design. He also displayed a charisma that enabled us to work harder than we thought possible. Thanks to the highly professional efforts of JohnStevens, Tiffin University has been transformed into a model for the new century.